I’m such a sucker for all the hype surrounding mascaras: ‘volumise your lashes’, ‘maximise your lashes’, ‘condition and volumise your lashes’. I desperately want to believe that that miracle mascara is out there that will give me that ‘false lash’ look without having to go to all the hassle and expense of actually getting false lashes…. So, here’s my review of four that I’ve been using this month. (Two of these were purchased by me, one was sent to me to trial and one is a tester). This is one I haven’t actually bought, but was a really good size tester I was given by my local Christian Dior counter. I wasn’t really sure about this when I first started using it, but it’s grown on me slowly. 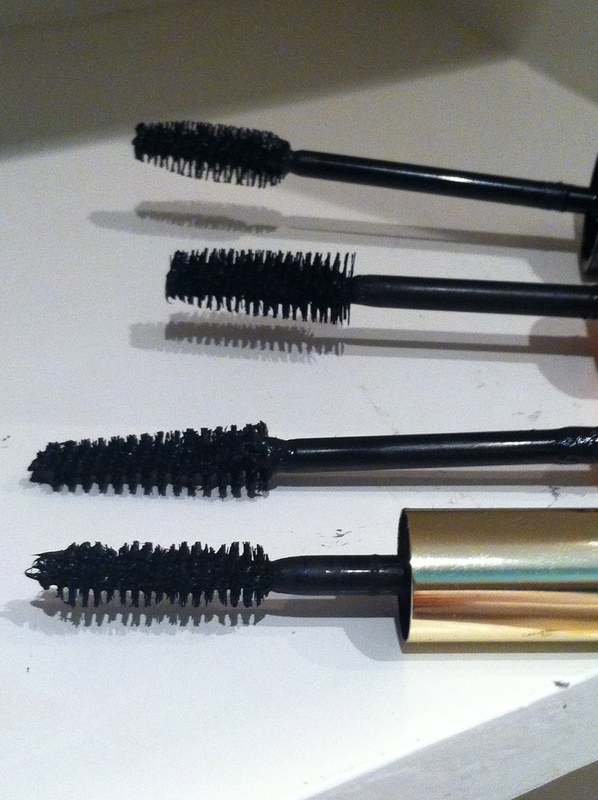 There’s a lot of clever technology that’s gone into this mascara, but for me the real magic is definitely in the tiered brush, which is apparently ‘inspired by the tiered couture dresses created by the House of Dior’. The brush really seems to cling to every single lash. So impressed am I by this brush, that I am still using it, after the actual mascara has run out, with other mascara bottles. I have to say that the big downside for me for this product, and the reason I haven’t bought a full size version yet is the price, which is around £29. I don’t buy a lot of Revlon make-up, but really fell for the packaging hook line and sinker (see pic above of glossy green and silver bottle). The claims to ‘plump’ my lashes really sealed the deal. £10 later, I have to say that I am rather dissappointed. The brush is definitely not one of the more impressive I have come across, and feels too light. Strange comment I know, but I think a brush needs to have a bit weight to it, both at the brush end and at the handle end to give the correct application. The idea is apparently that with each use your lashes grow stronger. I can’t really comment on this as I’ve only used it once, although I can see it turning into one of those I only use when all others have run out. For the price, I think there are better products out there. Boots were doing a special offer on this a few weeks ago for £4.49 and I used my Advantage Card points to purchase it (it usually retails for around £6.99). Again, I am ashamed to say it’s the Rimmel campaign and the fabulous packaging that made me go for this one (although the price didn’t hurt either). 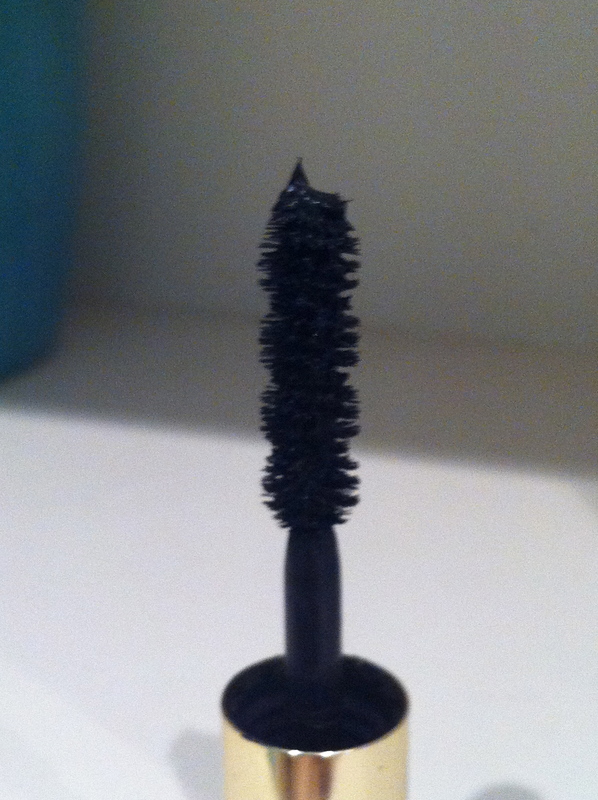 This one I would class as a ‘big brush’ mascara. 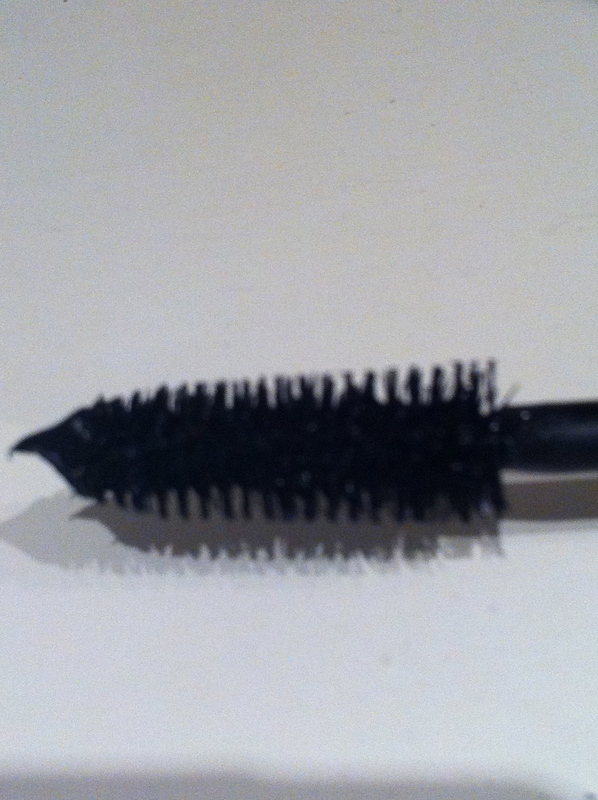 Personally I’ve never really understood why cosmetics companies automatically connect big brushes with big lashes. Quite the opposite, in my experience, as you can often end up with clumpy and rather messed up lashes. Having said all of that, this one is actually surprisingly good. Again, I am not sure whether I would class it as a ‘must have’ but more one to go to when you are feeling poor but still want impressive lashes. The trick, I’ve found, with this one is to use a few coats to really get a good effect, but do be prepared to have to tidy up afterwards, or just cover up with some concealer. 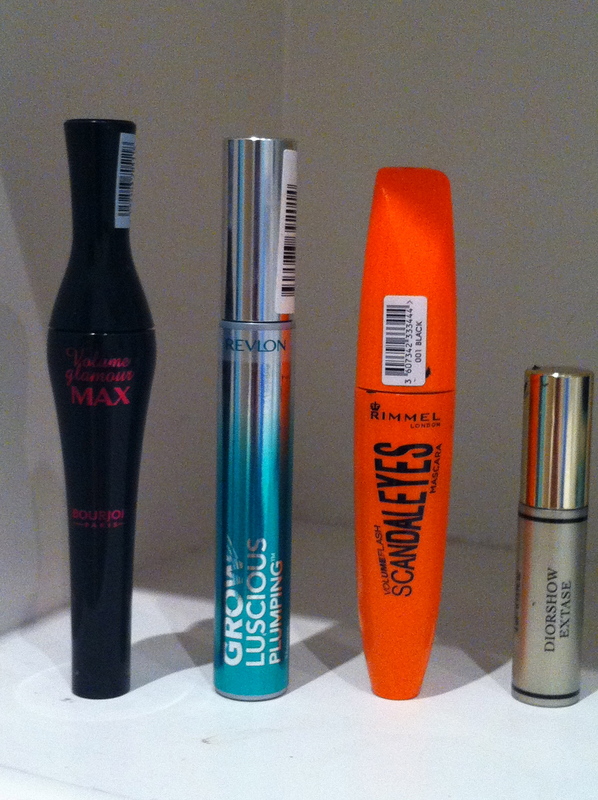 As with all big brush mascaras, it’s bit messy to apply for all but the most practised mascara users, but for the price, I really don’t feel I can complain too much. (At the moment I am actually using this with my Diorshow Extase brush for a more precise application). This one was sent to me for review. The brush is similar to the Rimmel one although it has a slightly more refined and oval shape. I have to say that for the price I think it compares more than favourably to the Rimmel and Revlon ones. The more refined shape means less mess, although it will definitely require more than one coat to create a volumising effect. It is designed to last for 16 hours, and is suitable for those with sensitive eyes, as well as contact lens wearers. For the price (again just under £10) I don’t think you can complain too much. Anyone tried any of these brands? Any thoughts?